Starting tomorrow, we will begin weekly Auction E-Blasts leading up to the auction, which is 4 weeks from this Saturday. Please watch for them and read for the latest news about our primary fundraising event. If you haven’t gotten your reservations in, please do so this week. The price goes up from $90 to $100 in just 10 days, and there are only 4 Patron Tables left for sale! Parent-Teacher Conferences will be Thursday, February 7th and Friday, February 8th. We are using Volunteer Spot to sign up for the conferences. Please click your child’s classroom link below to sign up. If you would like to meet with any of the specialized teachers (Middle School Math, Spanish, Music, Computer, P.E. ), please email them directly to set up a time. For any questions, please contact the school office at office@stvincents-school.org. It’s time again! Awesome new books for everyone from the Story Cupboard! All proceeds benefit the school library and you get the benefit of fantastic, quality books. 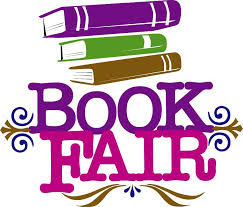 The Book Fair will be in the school library on Wednesday, February 6 from 3:00 to 4:30 p.m., on Thursday, February 7 from 8:30 a.m. to 8:30 p.m., & on Friday, February 8 from 8:30 a.m. to 5:30 p.m. Questions? We need help setting up, staffing and taking down the Book Fair. Volunteers will receive a 20% discount on one item for helping. It’s a fun way to get PIP hours ad you can have lots of time to explore all the books. Click here to volunteer at the Book Fair. Contact Anna Zanarini at azanarini@stvincents-school.org or 801-527-2070. Please stop by the school gym during Parent/ Teacher Conferences, February 7th and 8th. Art created by our students will be on display for all to enjoy. This year during Parent/Teacher Conferences, you will be able to order cards (that you can use for invitations, thank you’s, etc.) that have been designed by your child(ren). Brooke Gaztambide, our art teacher, worked on this project with the students. The teachers will show parents this art work during conferences, and will also provide you with an order form. Order forms are due to the office by Friday, February 8. Congratulations to the following students that will be advancing in Science Fair and National History Day! 3rd Place – Trevor McMillan: “Soap’s Disappointment, Spit’s Shine? 2nd Place – Trevor McMillan: “Soap’s Disappointment, Spit’s Shine? 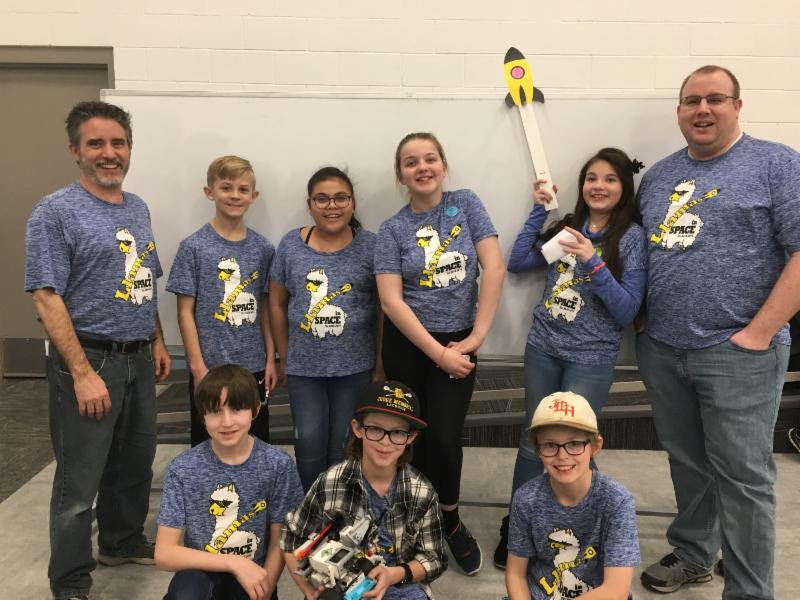 St. Vincent Lego League Team Wins Regional Competition! Robot Challenge (timed trials with a custom-built Mindstorms robot which you may have seen at our Open House). Many people mistake the robot challenge as the entire program (as it’s so visible); yet all 3 areas are equally weighted in the judging – so even all that work with the robot is still only 33% of the team’s overall success. Middle school students are truly challenged to balance their time and focus to perform equally well in all three areas. Some teams went home with awards for specific areas (the robot, the project, or the teamwork itself) but our Llamas covered all three with high scores. They went through three separate judged interviews (one for each of the 3 sections) as well as running the robot in three 2:30 timed trials, trying to score as many points as possible. Judges had really good things to say about our team! We’re so proud of this huge accomplishment – our first time in the State finals! Hats off to our team (in alphabetical order): Rylan Arico (6th), Jazmin Asmar (7th), Valery Carnes (4th), Dominic Fedor (6th), Zach Johnson (6th), Lucinda Larrabee (7th), Max Ripko (5th). Wish them luck, as they go up against 48 teams, champions from other venues, this Saturday! Our annual spelling bee will be Friday, February 8th at 10:15 in the school gym. All are welcome to attend. Please take time to look through our school Lost and Found. Our collection of items is growing rapidly. You may stop by the office to view. We will also have these items displayed during Parent/Teacher Conferences. 3rd Grade would like to thank everyone who donated at Mass last Friday. We collected $517.41 for Catholic Community Services. Registration is now open for Girls on the Run!!! Girls on the Run is a transformational, physical activity based, positive youth development program for girls in 3rd-8th grade. We teach life skills through dynamic interactive lessons and running games. The program culminates with the girls being physically and emotionally prepared to complete a celebratory 5k running event. The goal of the program is to unleash confidence through accomplishment while establishing a lifetime appreciation of health and fitness. The program will run from March 11th until June 1st. Practices will be held at St Vincent on Tuesdays from 3:30-5:15. 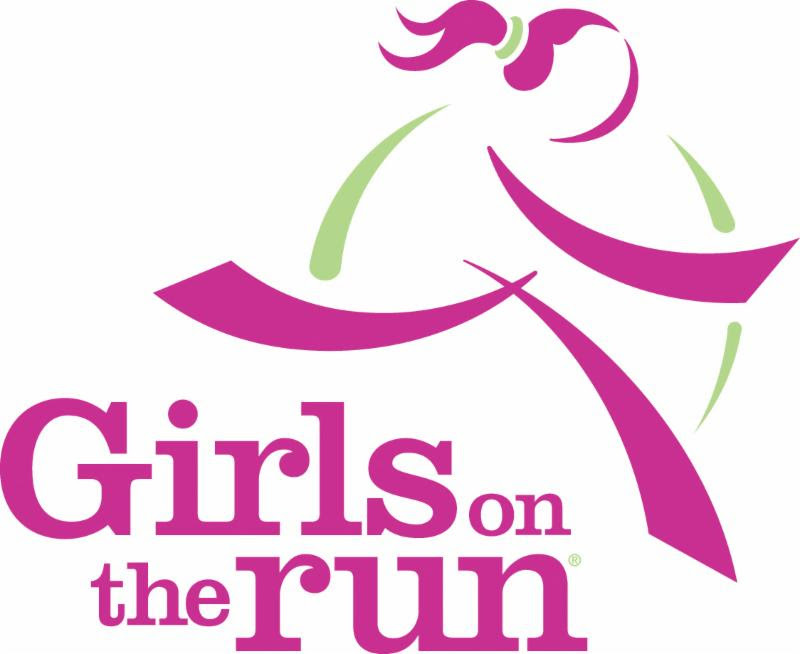 Please visit girlsontherunutah.org for more information and to register. Also, we are looking for volunteers to help with practice. Please contact Alli Gardner at allimgardner@gmail.com if you are interested.